EghtesadOnline: Parliament voted on Sunday to remove the economy minister ramping up pressure on the embattled president who has come under mounting criticism over his handling of the economy in the face of new US sanctions. Masoud Karbasian lost the vote of confidence by 137 votes to 121, with two abstentions in the 290-member chamber, news outlets reported. He was the second minister in President Hassan Rouhani's Cabinet to be impeached this month. His minister of cooperatives, labor and social welfare, Ali Rabiei, was kicked out on August 8. Amid growing public concern and frustration over economic hardships -- fueled by a sharp depreciation of the national currency that led to sporadic street protests in Tehran and other cities – the government appointed a new central bank governor in late July, according to Financial Tribune. The main reasons cited for removing Karbasian included his failure to tackle the mounting economic problems, in particular the banking crisis, enforce efficient tax laws, introduce policies to curb price gauging, check the galloping inflation, implement the "resistance economy" policy— which calls for practical measures to make the economy more self-reliant —support domestic production, promote transparency and fight rampant corruption. In a speech ahead of the vote, the minister apologized to the people for his shortcomings but noted that he alone is not responsible for the rapidly deteriorating economic conditions. "The roots of the ebb and flow of the economy must be explored both in the past and present, and not all the [contributing factors] have been under the control of the ministry," he said, adding that the United States' hostile policy is partly responsible for the plethora of problems. He was referring to US President Donald Trump’s exit from the Iran nuclear agreement in May and reimposing economic sanctions. Karbasian said Iran is fighting an "all-out trade war" with the United States, adding that some powerful quarters inside the country have made a bad situation worse by exploiting the economic conditions. He did not name any individual, group or faction. A series of practical measures were taken during his tenure to help improve economic growth, increase non-oil exports, promote economic transparency, enforce tax laws efficiently, curb rising liquidity and use domestic potential to insulate the economy against foreign pressures. 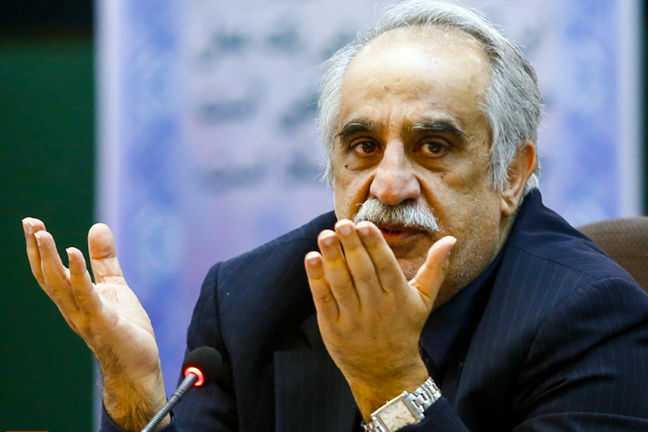 Qassem Jasemi, a member of Majlis National Security and Foreign Policy Commission who slammed the minister's performance, said the real inflation rate hovers around 200%, not the officially announced 20%, ICANA reported. "Real statistics show that the actual inflation rate is over 200%," the Kermanshah lawmaker rued. "People's pockets are getting more and more empty every day," the parliamentarian complained, referring to the systematically decline in the purchasing power of most Iranians, in particular fixed-wage earners. The tanking of the rial over the past six months has led to hoarding and price gauging of almost all consumer and other goods, to the extent that quality food, dairy products, fruits and medical services have become prohibitive for many working class families. Lawmaker Abbas Papizadeh spoke against the minister saying that he must be held responsible for the unprecedented turmoil in the gold market. "The recent economic tsunami has been caused by the administration's monetary policies," he claimed, adding that the ministry's unwise moves led to spiraling inflation, high unemployment, devaluation of the rial and further weakening of the private sector. Masoud Pezeshkian, another MP, defended Karbasian, saying that he should not be blamed for all the economic challenges visiting the country as the US, Saudi Arabia and Israel have mobilized resources to undermine and destabilize the Iranian economy. "We are in confrontation with the world's greatest economic power," the lawmaker told the chamber, adding that replacing ministers is not the solution and that the country needs a long-term and sustainable strategy to move forward. "The root causes of the problems must be examined and practical solutions should be found."